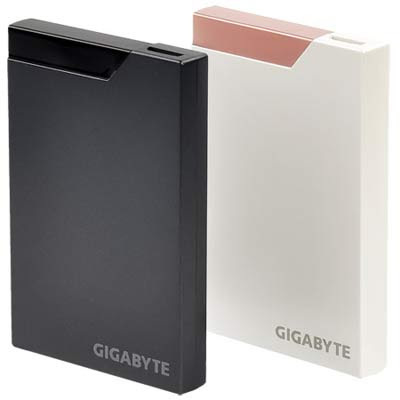 GIGABYTE A2 External HDD's Features, Review and Specifications. The 2.5-inch external hard drives from GIGABYTE uses USB 3.0 interface for data transfer and is finger-print proof. Availabile in two color options-charcoal grey or pearl white. Storage options includes 320GB, 500GB, 640GB, and 750GB. It is only 1.4cm deep and has an Led indicator to show active connection. It has a unique shock/vibration absorption mechanism The Gigabyte A2 weighs just 136gms and comes with a 3-year warranty and has a dimension of 113 x 76 x 14mm. Tags:Gigabyte A2 external HDD, Gigabyte A2 external HDD features, Gigabyte A2 external HDD specifications, Gigabyte A2 external HDD review, Gigabyte A2 external HDD details, Gigabyte A2 external HDD availability, Gigabyte A2 external HDD specs, Gigabyte A2 external HDD images, Gigabyte A2 external HDD pics, Gigabyte A2 external HDD pictures, portable hard disk. 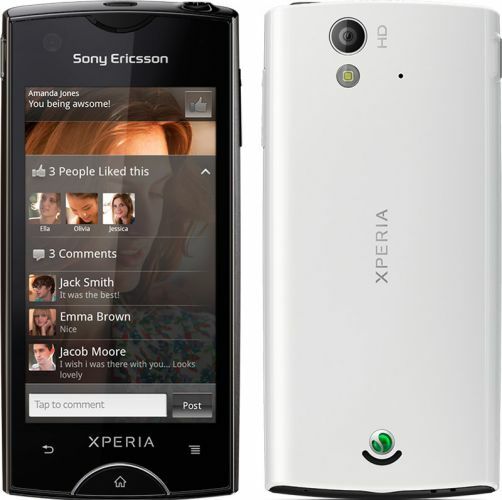 The Sony Ericsson Xperia ray has a 3.3-inch LED-backlit LCD capacitive touchscreen display and is Bravia Mobile engine powered,comes by a Qualcomm MSM8255 1GHz Scorpion processor with 512 MB RAM and runs on Android 2.3.4 Gingerbread OS. It has a 8.1-megapixel camera with Exmor R technology which helps in 720p HD video recording also, 1 GB inbuilt storage with 300MB available for user, 4GB included, expandable up to 32GB using microSD, 3G, GPRS, EDGE, Wi-Fi 802.11 b/g/n, DLNA, Wi-Fi hotspot, Bluetooth v2.1 with A2DP & EDR, microUSB. 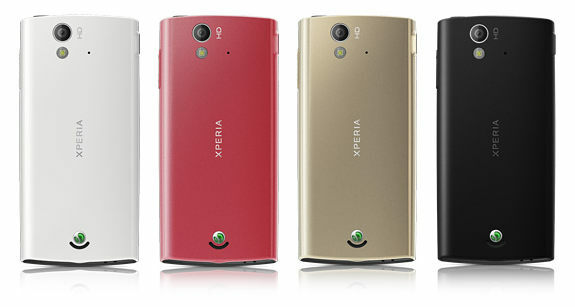 The Xperia ray has a dimension of 111 x 53 x 9.4 mm and weighs just 100g, comes with a standard Li-Ion 1500 mAh battery which provides Stand-by time of 430 h (2G) / 440 h (3G) and Talk time of 6 h 50 min (2G) / 7 h (3G). 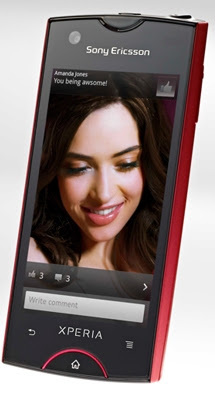 It has a price tag of £349.99 when purchased unlocked and SIM-free and is available soon on Vodafone. Available in India from second week of September, price will be around 20K. Tags:Sony Ericsson Xperia ray, Sony Ericsson Xperia ray features, Sony Ericsson Xperia ray specifications, Sony Ericsson Xperia ray review, Sony Ericsson Xperia ray details, Sony Ericsson Xperia ray availability, Sony Ericsson Xperia ray specs, Sony Ericsson Xperia ray images, Sony Ericsson Xperia ray pics, Sony Ericsson Xperia ray pictures, smartphone, Android 2.3.4 Gingerbread OS, Sony Ericsson Xperia ray India Availability. The Karbonn A1 comes with a 2.8-inch TFT capacitive touch screen and is powered by 600MHz processor, runs on Android 2.2 Froyo OS and has a rear 3.2 megapixel camera, 6GB storage inbuilt(4Gb NAND + 2Gb DDR SDRAM). Other features of A1 includes Bluetooth, Wi-Fi, Wi-Fi Hotspot, 3G compatibility with 7.2 Mbps support, memory expandable up to 32GB and has GPS functionality. 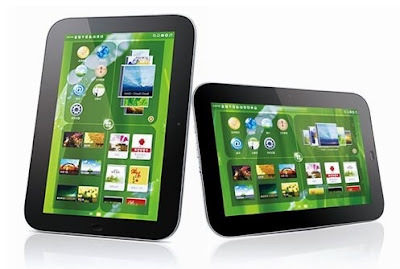 The A1 includes all standard Android apps and attributes such as G-Sensor and Google Maps. The A1 is equipped with Adobe Flash 10.1 version and has a 1100mAh battery which provides a talk-time up to 250 minutes. The phone operates at frequencies of GSM 900 / 1800 / WCDMA 900 / 2100 MHz GSM 850 / 1900 / WCDMA 850 / 1900 MHz. 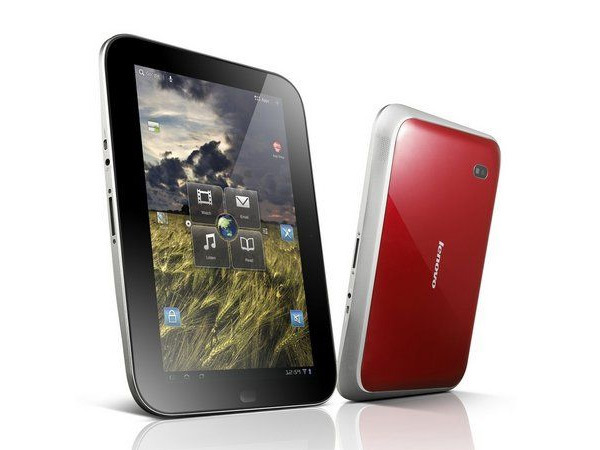 It has a dimension of 106.8 X 59.2 X 14.0 mm and weighs just 105gms.The Karbonn A1 has a price tag of Rs. 6,999. Tags:Karbonn A1, Karbonn A1 features, Karbonn A1 specifications, Karbonn A1 review, Karbonn A1 details, Karbonn A1 availability, Karbonn A1 specs, Karbonn A1 images, Karbonn A1 pics, Karbonn A1 pictures, Android 2.2 Froyo OS, smartphone. Lenovo IdeaCentre B520 and B320 Features, Specifications, Review. Lenovo IdeaCentre B520 comes with a 23-inch LED-backlit LCD multi-touch frameless screen which offers 3D vision which is powered by the GeForce GT 555M graphics card. The entier device is powered by an Intel Core i7 and has 4 GB of DDR3 RAM. The B520 has a huge 2 TB of storage and has an option for SSD upgrade which reduces boot-up time to 20.5 seconds. 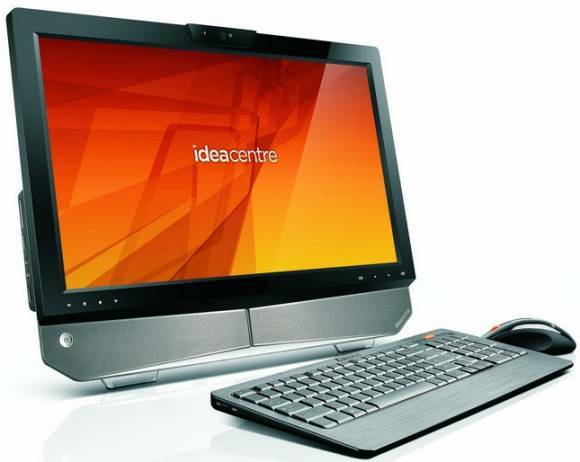 Other features include an HD webcam, integrated 5.0 channel with SRS premium sound, and an option to upgrade to a mouse that doubles up as a motion controller for gaming.The IdeaCentre B520 comes with a 3-year warranty and has a price tag of Rs 71,990. 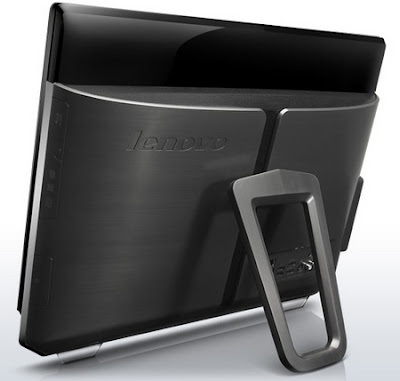 Lenovo IdeaCentre B320 features a 20-inch LED-backlit LCD screen which can also be used as a TV with the OneKey TV2 feature. 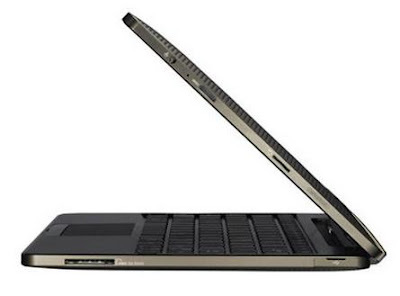 The B320 is powered by Intel's Sandy Bridge i5 2.6 GHz Dual-Core processor and 2 GB DDR3 memory, with a 500 GB hard disk. The B320 is priced at Rs 29,990. 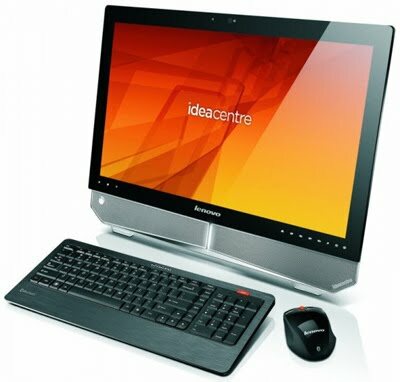 Tags:Lenovo IdeaCentre B520, Lenovo IdeaCentre B520 features, Lenovo IdeaCentre B520 specifications, Lenovo IdeaCentre B520 review, Lenovo IdeaCentre B520 details, Lenovo IdeaCentre B520 availability, Lenovo IdeaCentre B520 specs, Lenovo IdeaCentre B520 images, Lenovo IdeaCentre B520 pics, Lenovo IdeaCentre B520 pictures, Lenovo IdeaCentre B320, Lenovo IdeaCentre B320 features, Lenovo IdeaCentre B320 specifications, Lenovo IdeaCentre B320 review, Lenovo IdeaCentre B320 details, Lenovo IdeaCentre B320 availability, Lenovo IdeaCentre B320 specs, Lenovo IdeaCentre B320 images, Lenovo IdeaCentre B320 pics, Lenovo IdeaCentre B320 pictures,All-In-One PCs,3D Multi-Touch PC. The Lenovo IdeaPad K1 has a rounded design with 10.1 inch WXGA 1280x800-pixel multi-touch capacitive touchscreen display powered by a dual-core Nvidia Tegra 2 processor with 1GB RAM and runs on Android 3.1 Honeycomb OS. 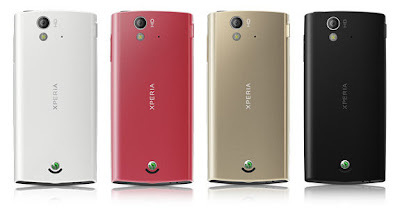 It sports a rear 5 megapixel camera with LED flashand a 2 megapixel front facing camera and weighs just 1.6 lbs. It has 32 GB of in-built storage and can add another 32GB using microSD slot. Other features of IdeaPad K1 includes a mini-HDMI-out port,WiFi b/g/n, Bluetooth 2.1+EDR, a microSD card slot for memory expansion, a micro-USB socket for file transfers. It comes with 40 free apps includes amazing Galaxy of Fire 2 3D space sim, Documents to Go, a movie rental service called Acetrax, Adobe and Amazon. Tags:Lenovo IdeaPad K1, Lenovo IdeaPad K1 features, Lenovo IdeaPad K1 specifications, Lenovo IdeaPad K1 review, Lenovo IdeaPad K1 details, Lenovo IdeaPad K1 availability, Lenovo IdeaPad K1 specs, Lenovo IdeaPad K1 images, Lenovo IdeaPad K1 pics, Lenovo IdeaPad K1 pictures, Android 3.1 Honeycomb OS. 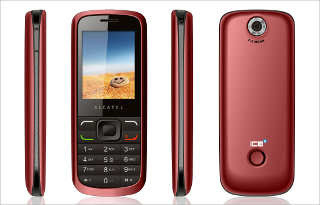 G’FIVE mobiles Movie King range E-series phones Features, Specifications and Price. G’FIVE mobiles launches Movie King range E-series affordable handsets aimed at those who are interested in non-stop entertainment on the go with their three new phones E680, E650 and E620. These handsets come with a 4GB data card which is preloaded with twenty movies, 5 FTV videos and twenty ringtones. These devices claim to deliver high resolution, good quality videos in a compressed format. For movies they divide India into four zones North, South, East and West and provides data card movies based on the region. The E680 model, a dual-SIM handset comes with 2.2-inch QVGA display, dual facing camera - a 1.3 megapixel camera at the rear and a front-facing VGA camera, built-in Yamaha amplifier for surround-sound effect, music and video player, 3.5mm audio jack and short range wireless connectivity. 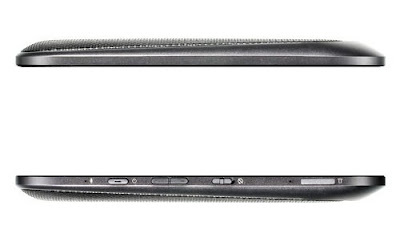 The E620 model, in addition to the above features offers an analog TV tuner that would allow you to watch terrestrial broadcasts on the move. You will get Doordarshan free of charge. 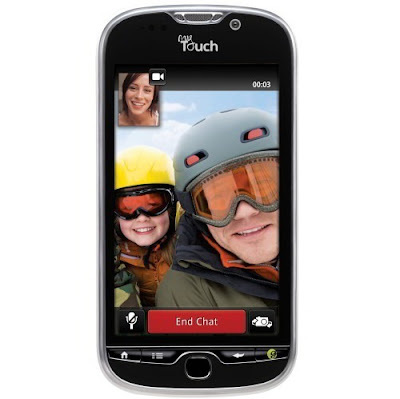 The E650 is a touchscreen flip phone with a 2.4-inch QVGA touchscreen display. 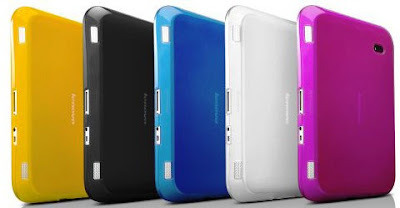 All the above three comes with IPTV, push mail, dual LED torch, expandable memory up to 16GB with microSD cards and voice changer which will modulate your voice so that the person on the other end thinks its someone else at the other end. They also possess a motion sensor for song changer, flip form factor with QWERTY keypad, dedicated keys to directly go to the video library and a navigation wheel.The handset vendor has partnered with Hungama wherein users can download movies of their choice by visiting its official website (shall cost around Rs 20 to download a movie). 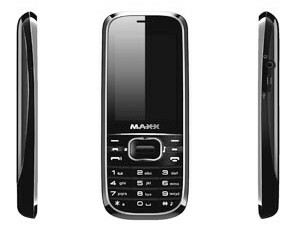 The Movie King Series models E680, E650 and E620 are priced between Rs 2,500 and Rs 3,500. Tags:G FIVE E650, G FIVE E650 features, G FIVE E650 specifications, G FIVE E650 review, G FIVE E650 details, G FIVE E650 availability, G FIVE E650 specs, G FIVE E650 images, G FIVE E650 pics, G FIVE E650 pictures,G FIVE E620, G FIVE E620 features, G FIVE E620 specifications, G FIVE E620 review, G FIVE E620 details, G FIVE E620 availability, G FIVE E620 specs, G FIVE E620 images, G FIVE E620 pics, G FIVE E620 pictures, G FIVE E680, G FIVE E680 features, G FIVE E680 specifications, G FIVE E680 review, G FIVE E680 details, G FIVE E680 availability, G FIVE E680 specs, G FIVE E680 images, G FIVE E680 pics, G FIVE E680 pictures. Indian Mobile-phone manufacturer Maxx Mobiles added two more dual-SIM mobile phones into their armour the Sleek MX464 and the Super MX424. Both mobiles are aimed at wide range of village customers and youth. Both costs below 3K(3000/-). 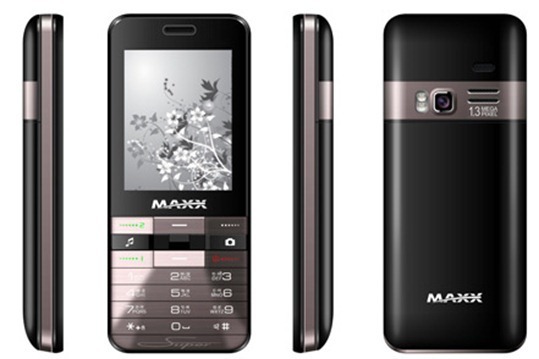 Lets look into more details of Maxx Mobiles Sleek MX464. The Sleek MX464 is fetures a 2.2-inch TFT screen, 1.3MP camera, an audio connector of 2.5 mm audio jack, expandable 8GB using MicroSD. It supports MP3/ AAC/ WAV audio formats and 3GPP/AVI/MP4 video formats. The JAVA enabled handset also has dedicated applications for facebook, Twitter and Google along with Yahoo launcher. 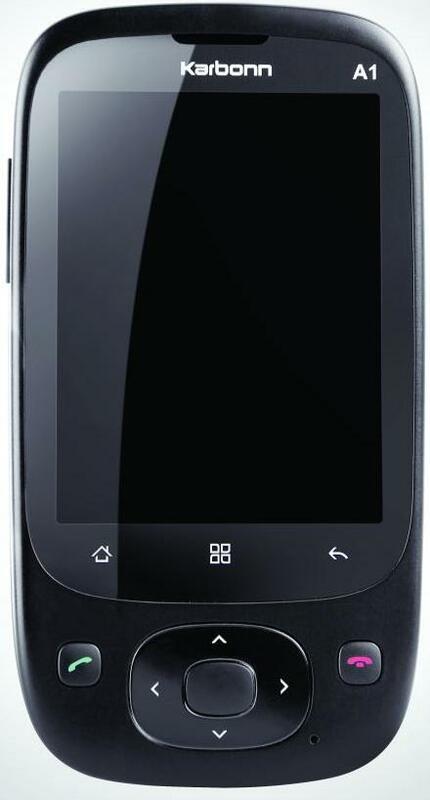 It is also availabile in black colour with gunmetal finish and is priced at Rs 2,424. 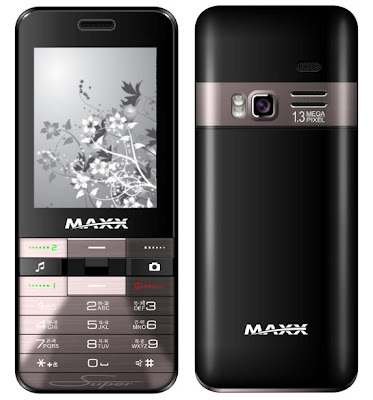 Tags:Maxx Mobiles Sleek MX464, Maxx Mobiles Sleek MX464 features, Maxx Mobiles Sleek MX464 specifications, Maxx Mobiles Sleek MX464 review, Maxx Mobiles Sleek MX464 details, Maxx Mobiles Sleek MX464 availability, Maxx Mobiles Sleek MX464 specs, Maxx Mobiles Sleek MX464 images, Maxx Mobiles Sleek MX464 pics, Maxx Mobiles Sleek MX464 pictures. 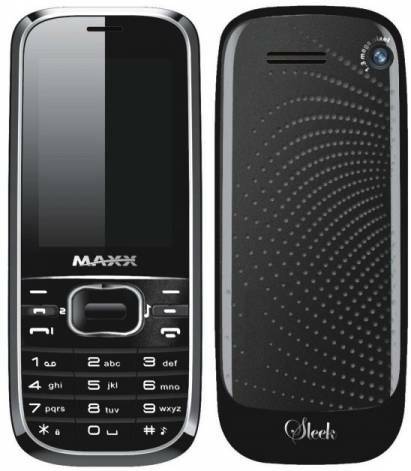 Indian Mobile-phone manufacturer Maxx Mobiles added two more dual-SIM mobile phones into their armour the Sleek MX464 and the Super MX424. Both mobiles are aimed at wide range of village customers and youth. Both costs below 3K(3000/-). Lets look into more details of Super MX424. Tags:Maxx Mobiles Super MX424, Maxx Mobiles Super MX424 features, Maxx Mobiles Super MX424 specifications, Maxx Mobiles Super MX424 review, Maxx Mobiles Super MX424 details, Maxx Mobiles Super MX424 availability, Maxx Mobiles Super MX424 specs, Maxx Mobiles Super MX424 images, Maxx Mobiles Super MX424 pics, Maxx Mobiles Super MX424 pictures. 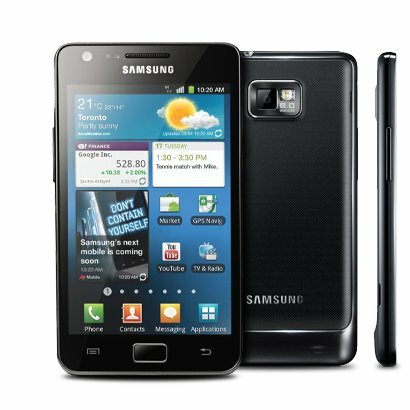 The Samsung Galaxy S II 4G will be available through Bell Canada on July 21 for $149.99 on a three-year contract or for $599. Initially it is available through Rogers and Telus later. Lets get into some more details. 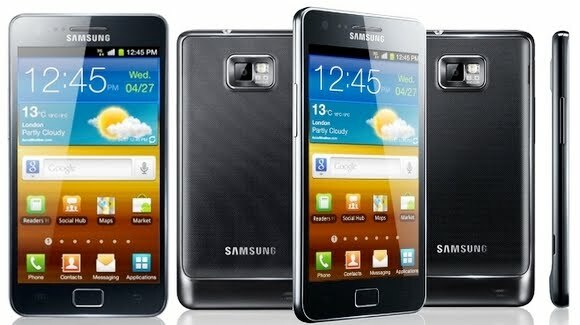 The Samsung Galaxy S II 4G comes with a 4.3 inch 480×800 pixel Super AMOLED Plus display and powered by 1.2Ghz dual-core Exynos processor and video acceleration through Mali-400MP GPU and runs on Android 2.3.3 OS with TouchWIZ 4 UI. Other features includes a 1GB RAM expandable up to 32GB with an optional memory card, 8MP rear camera able to capture videos at 1080p through anti-shake and a 2-megapixel front-facing camera. It has a data transfer of 21Mbps through HSDPA network and 5.76Mbps through HSUPA network. Also it has WiFi a/b/g/n, Bluetooth 3.0, DLNA, WiFi-Direct, dual microUSB/HDMI out port. The Samsung Galaxy S II 4G has a dimension of 125.3 x 66.1 x 8.5 mm and weighs 116gm, comes with 1650mAh battery. Tags:Samsung Galaxy S II 4G, Samsung Galaxy S II 4G features, Samsung Galaxy S II 4G specifications, Samsung Galaxy S II 4G review, Samsung Galaxy S II 4G details, Samsung Galaxy S II 4G availability, Samsung Galaxy S II 4G specs, Samsung Galaxy S II 4G images, Samsung Galaxy S II 4G pics, Samsung Galaxy S II 4G pictures, smartphone, Android 2.3.3 OS. As Indian orgin tablets are piling up each day, the war will become more hotter with EAFT's Magic Tile Marathon. Let's look at what it offers for a price just touching 30K. 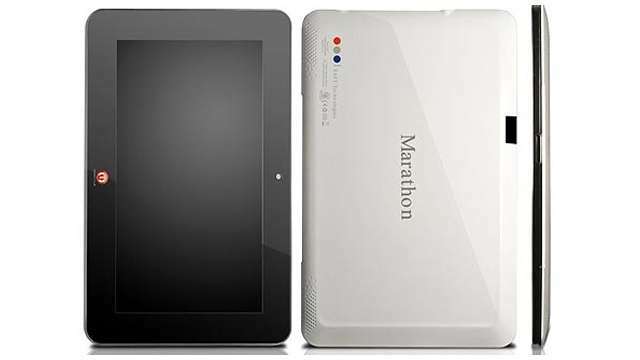 EAFT launched tablet device-Magic Tile Marathon which provides web and multimedia experience through its 3D User Interface. It has 10.1” high resolution MID powered multi-touch capacitive display powered by ARM-11 Cortex-A9 1 GHz Dual Core Processor on NVDIA Tegra2 chip and runs on Android 2.2 OS. It has built-in GPS, FULL HD(1080p) Play back, Standard USB Ports, HDMI port, 16 GB storage, flash 10.1 support, built-in 3G(Quadband for worldwide portability). It weighs less than one kilogram. MagicTile Marathon is targeted at corporates, professionals and business individuals, currently availabile in Bangalore and later to Delhi and Mumbai with a price tag of 29,990/-. Tags:EAFT's Magic Tile Marathon, EAFT's Magic Tile Marathon features, EAFT's Magic Tile Marathon specifications, EAFT's Magic Tile Marathon review, EAFT's Magic Tile Marathon details, EAFT's Magic Tile Marathon availability, EAFT's Magic Tile Marathon specs, EAFT's Magic Tile Marathon images, EAFT's Magic Tile Marathon pics, EAFT's Magic Tile Marathon pictures,Android 2.2 Froyo OS. 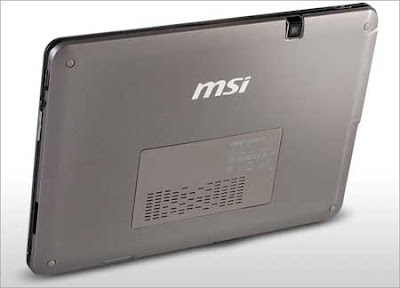 MSI WindPad 110W tablet fetures, specifications and review. 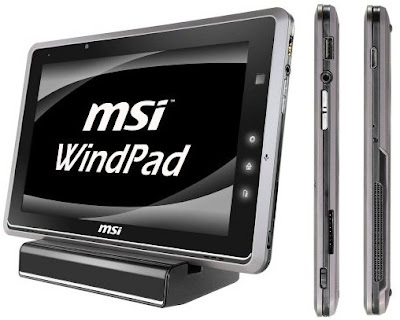 MSI WindPad 110W tablet comes with 10" IPS panel display of 1280x800 screen resolution powered by AMD Z-01 APU(Accelerated Processing Unit), a 1GHz dual-core processor with a TDP of just 5.9 watts and has inbuilt Radeon HD 6250 graphics, 4GB of DDR3 RAM and runs on Windows 7 Home Premium OS. 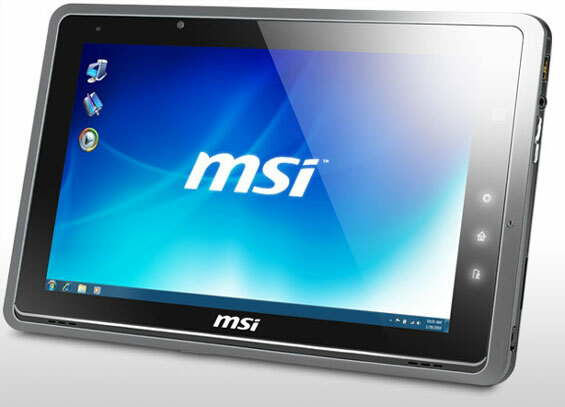 Other features includes a 32 GB SSD(solid state drive), 802.11b/g/n Wi-Fi, Bluetooth 3.0, A GPS receiver, a USB 2.0 port, an SD card reader, mini-HDMI port and support for DirectX 11. It comes with 1.3 megapixel front-facing and rear-facing cameras and has a two-cell, 4200mAh battery.The 110W measures 10.66-inches x 7.20-inches x 0.61-inches and weighs 3.3 pounds. Software feature includes Trusted Platform Module (TPM) which provides maximum security, Easy Face Software provides face recognition for log in to the device, Multi-control Navigation makes you to control device very eaisly, Smart O-Easy Application helps to customize application processing based on your behaviour. Tags:MSI WindPad 110W tablet, MSI WindPad 110W tablet features, MSI WindPad 110W tablet specifications, MSI WindPad 110W tablet review, MSI WindPad 110W tablet details, MSI WindPad 110W tablet availability, MSI WindPad 110W tablet specs, MSI WindPad 110W tablet images, MSI WindPad 110W tablet pics, MSI WindPad 110W tablet pictures, Windows 7 Home Premium OS. 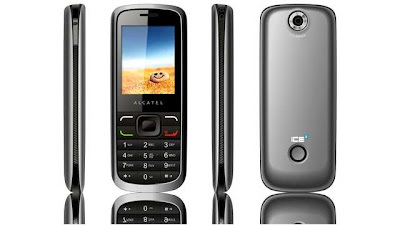 The OT 520D is a feature rich entry level phone from Alcatel Ice 3. The Alcatel Ice 3 is the company that is being awarded as a winner for ‘Most Impressive Radiation Free Handset’ for their OT 806D mobile handset. Their new entry OT 520D boasts of features such as it can support dual SIM, as well as dual memory card slots that are expandable up to 32GB. Other features includes caller video, wireless FM with recording, 2 MP camera, Bluetooth and a torch.user can also shoot videos and affix it with the contact name in the phone book. The same video will be flashed whenever that person calls. The OT 520D is also equipped with all popular multimedia features such as access to the Internet/ GPRS, Facebook, and Gmail. The OT 520D is priced at Rs 2,299 and is available across India. Tags:Alcatel Ice 3's OT 520D, Alcatel Ice 3, Alcatel Ice 3's OT 520D features, Alcatel Ice 3's OT 520D specifications, Alcatel Ice 3's OT 520D review, Alcatel Ice 3's OT 520D details, Alcatel Ice 3's OT 520D availability, Alcatel Ice 3's OT 520D specs, Alcatel Ice 3's OT 520D images, Alcatel Ice 3's OT 520D pics, Alcatel Ice 3's OT 520D pictures. 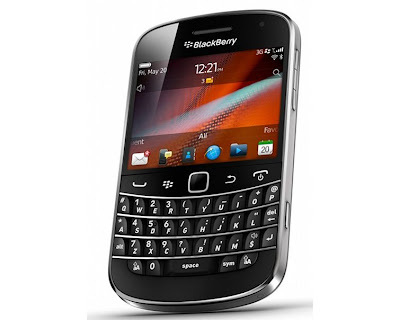 The BlackBerry Bold 9900 features a 2.8-inch capacitive touchscreen with a 640 by 480 resolution along with a full QWERTY keyboard and optical track pad and runs on BlackBerry OS 7. The smartphone will utilize a 1.2 GHz microprocessor with a 768 MB RAM and internal storage of 8GB, which can be expanded up to a maximum of 32 GB with a microSD memory card slot. 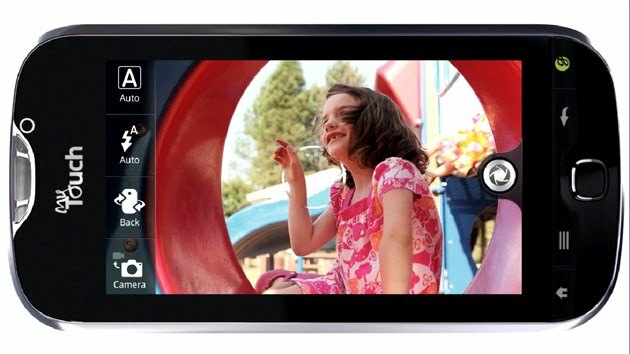 The 5MP camera of the BlackBerry Bold 9900 is capable of recording 720p HD videos. 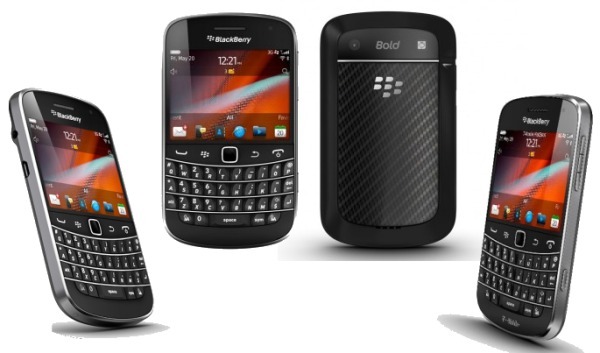 This quad-band GSM smartphone also has an integrated GPS as well as 2.4GHz and 5GHz WiFi networks, Bluetooth 2.1 connectivity.The Bold 9900 is compatibile with tri-band HSPA+ networks, a GPU and NFC support. 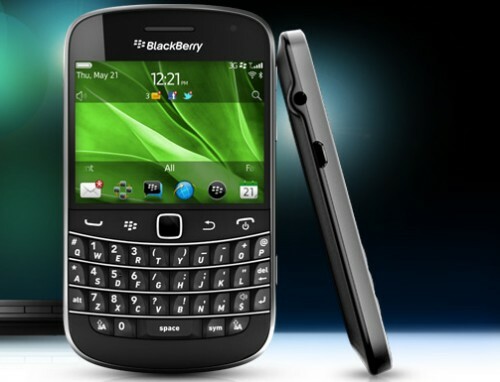 The Bold 9900 weighs 130 grams and measures 115 x 66 x 10.5mm including the 1230mAh battery. It will be out in September on T-Mobile and AT&T. The Bold 9900 currently available in India and comes with a price tag of Rs 32,490. Tags:BlackBerry Bold 9900, BlackBerry Bold 9900 features, BlackBerry Bold 9900 specifications, BlackBerry Bold 9900 review, BlackBerry Bold 9900 details, BlackBerry Bold 9900 availability, BlackBerry Bold 9900 specs, BlackBerry Bold 9900 images, BlackBerry Bold 9900 pics, BlackBerry Bold 9900 pictures, smartphone, BlackBerry OS 7, BlackBerry Bold 9900 India, BlackBerry Bold 9900 India price, BBB 9900, BB 9900. The HTC myTouch 4G Slide from T-Mobile has a 3.7-inch Super WVGA LCD display powered by a 1.2GHz dual-core Qualcomm Snapdragon processor runs on Android 2.3 Gingerbread with HTC Sense 3.0 user interface. 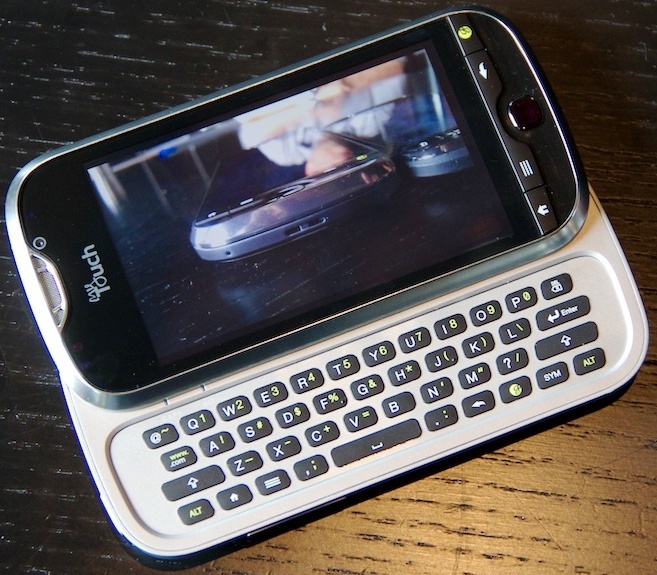 It features a full slide-out landscape QWERTY keyboard. The most important feature is its rear camera with lots of features, an 8-megapixel beast with dual LED flash and “zero shutter lag”, f/2.2 aperture lens, a backside-illuminated CMOS sensor, 1080p video recording, HDR and panorama modes. 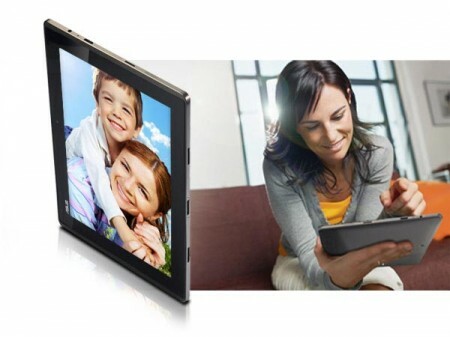 It also has a front-facing VGA camera for video chatting. 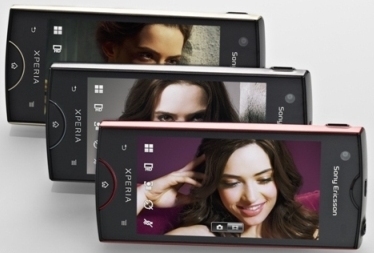 It has a dedicated camera button that can activate the camera even when the phone is locked. As a T-Mobile phone, it’s also got the company’s Qik video chat and Group Text services. A hands-free mode lets users control the smartphone with voice commands. It has a Genius button on the bottom right to activate its voice-to-text capabilities. Along with "4G" (14.4Mbps) other options includes Wi-Fi calling, Out of 4GB only 1GB of internal memory is available to the user, has an 8GB microSD card preinstalled which will expand up to 32GB. The T-Mobile myTouch 4G Slide will be available on July 27 for $199 with a two-year service agreement. 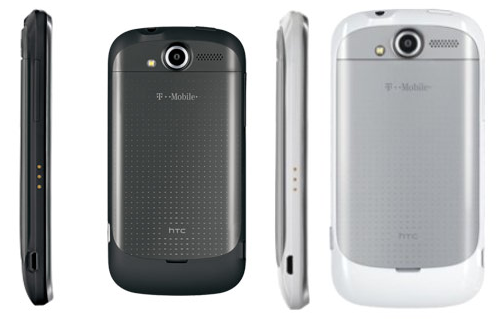 Tags:HTC myTouch 4G, HTC myTouch 4G features, HTC myTouch 4G specifications, HTC myTouch 4G review, HTC myTouch 4G details, HTC myTouch 4G availability, HTC myTouch 4G specs, HTC myTouch 4G images, HTC myTouch 4G pics, HTC myTouch 4G pictures, smartphone, Android 2.3 Gingerbread, T-Mobile. The Eee Pad Transformer TF101 comes with a 10.1-inch, 1280-by-800 pixel multitouch screen which is powered by a dual-core Nvidia Tegra 2 1GHz processor an runs on Honeycomb Android 3.1(an update to 3.2 is available now) with 1GB DDR2 RAM. The Transformer has a 5-MP rear camera and 1.2-MP front camera very efficient for taking videos and pictures and is very good when comes to social networking. 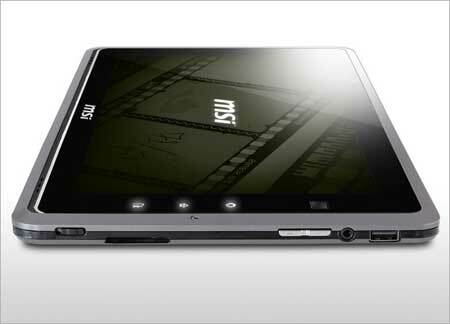 The Asus Eee Pad Transformer supports 802.11b/g/n Wi-Fi, Bluetooth 2.1 + EDR. It has a mini-HDMI output, a micro-SD slot, and a 3.5-mm headphone jack on the right side, a Power button and Volume controls on the left side, connection for cable sync and dock connection (USB keyboard and mouse) are on the bottom. It also integrates an accelerometer and gyroscope. The OS gives full support for Adobe Flash. In 3.1, you can have upwards of 20 apps open at once, all viewable as thumbnails via the multitasking icon. Along with device you will be getting a USB sync cable and charger. 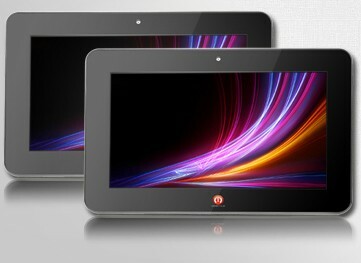 It has a form factor of 6.9 X 10.7 X 0.6 inches and weighs just 1.5 pound and has built-in speakers. It provides a backup of 9 hours and 15 minutes on mixed use and 6 hours and 12 minutes on playing video at high volume, non-stop, while Wi-Fi is on. 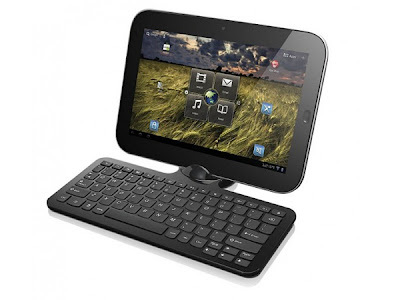 For $149 you will get a full QWERTY keyboard dock which transforms the tablet into a netbook. The docking sttaion is a 92% Size Chiclet Keyboard with Multi-Touch Trackpad and has SD Card Reader, 2x USB 2.0 Ports. 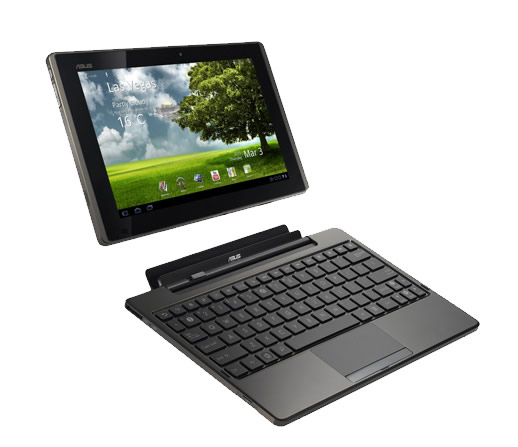 The Asus Eee Pad Transformer TF101 Wi-Fi-only model is priced at $399 for the 16GB model and $499 for the 32GB version. Currently availabile in UK and US. It currently have Netflix support and has a software upgrade that takes the build to 8.6.5.9. 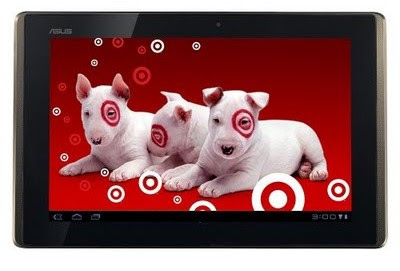 Walmart is offering the 16GB WiFi ASUS tablet for $349. Now available in India with a price tag of Rs 31,499. Tags:Eee Pad Transformer TF101, Eee Pad Transformer TF101 features, Eee Pad Transformer TF101 specifications, Eee Pad Transformer TF101 review, Eee Pad Transformer TF101 details, Eee Pad Transformer TF101 availability, Eee Pad Transformer TF101 specs, Eee Pad Transformer TF101 images, Eee Pad Transformer TF101 pics, Eee Pad Transformer TF101 pictures, smartphone, Honeycomb Android 3.1 OS.